Consider sitting in your favorite restaurant and viewing different menu options through a tabletop menu display, or catching up on company news as you wait in a corporate reception area or maybe it's the live traffic report as you leave the airport concourse. As the cost of digital signage goes down and the need for customized content increases, even small businesses and non-profit organizations are turning to digital signage technology as a communications solution. In this newsletter, we provide a quick overview of key factors to consider when evaluating digital signage for your organization. In 2011, we became an authorized reseller for Carousel, the digital signage system by Tightrope Media Systems. This is an easy-to-use, affordable system that has enabled our clients to provide exciting digital signage displays within a modest budget. Please let me know if you would like to find out more! 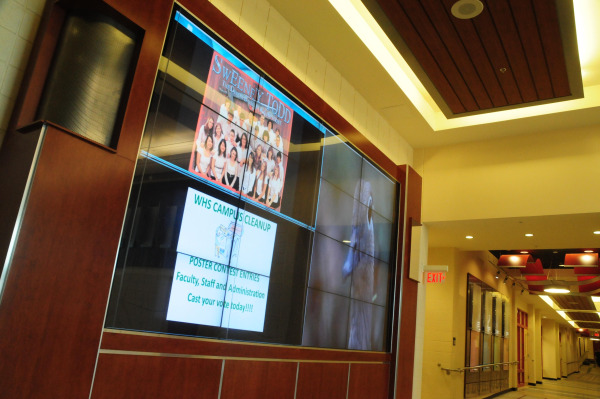 Is Digital Signage Right For Your Organization? A school updates students on the day's events and current news through digital displays. A church uses digital signage to share sermon highlights and hymn lyrics. A corporation communicates information to employees through digital displays posted in gathering areas. Once primarily a tool for large public venues or advertisers, digital signage is emerging as an effective communications vehicle for a wide range of organizations. According to a study by ABI Research, the global market for digital signage, including displays, media players, software and installation/maintenance costs, is expected to grow from nearly $1.3 billion in 2010 to $4.5 billion by 2016. Digital signage delivers information, including live and on-demand video, graphics, animations, text, and other content, on a high-quality display to a targeted audience. A typical digital signage installation includes one or more display screens, one or more media players and a content management server. The connection between the media player and content management server can be wired or wireless, or even via a cellular network. Fresh, relevant content is consistently provided to engage or inform the viewer. What needs do you want digital signage to address? Will you use digital signage to entertain your audience, educate, or motivate viewers to take specific actions? Understand your audience's attention span and motivation for looking at the digital signage. This information is vital for creating relevant content. Fresh, timely content is crucial for effective digital signage. What content do you want to communicate, how frequently will you update it, and how will you provide it? Will you be creating and distributing content in one or two locations in one building, or in numerous locations throughout multiple facilities? Do you want to incorporate video or just display text? Evaluate potential future uses and select technology that offers the flexibility and scalability that you need both now and in the coming years. This past week, Shanahan was at the Boston Convention & Exhibition Center to participate in the American Academy of Audiology's annual meeting, AudilogyNOW! The annual meeting provides participants the opportunity to attend four days of educational sessions, explore the latest in hearing technology, and network with colleagues from around the world. As the first authorized reseller and installer of hearing loop systems in New England, we were excited for participants to be able to experience the hearing loop system set up in our booth and in the training rooms. You can see all the excitement and highlights on the AudilogyNOW! website. Download our white paper to learn more about hearing loops.